December 1914. Ivy 2-stroke Motor Cycle. October 1935. 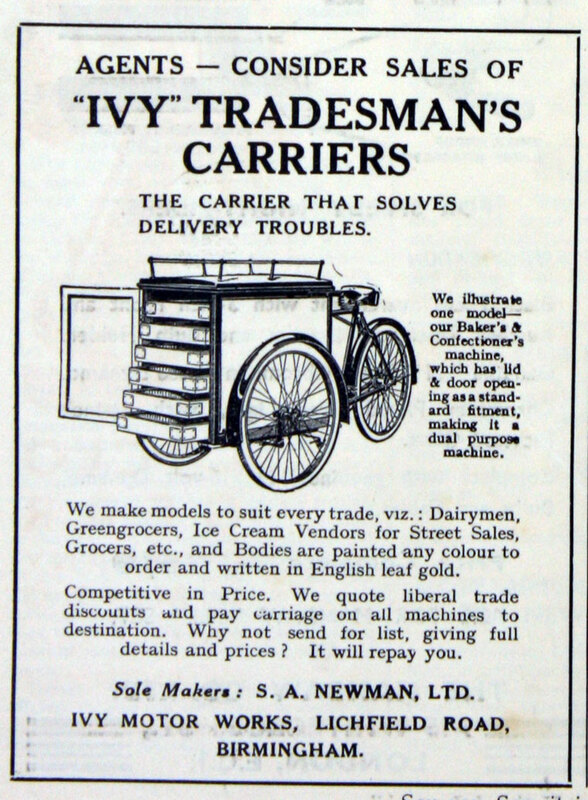 Ivy Tradesman's carriers. 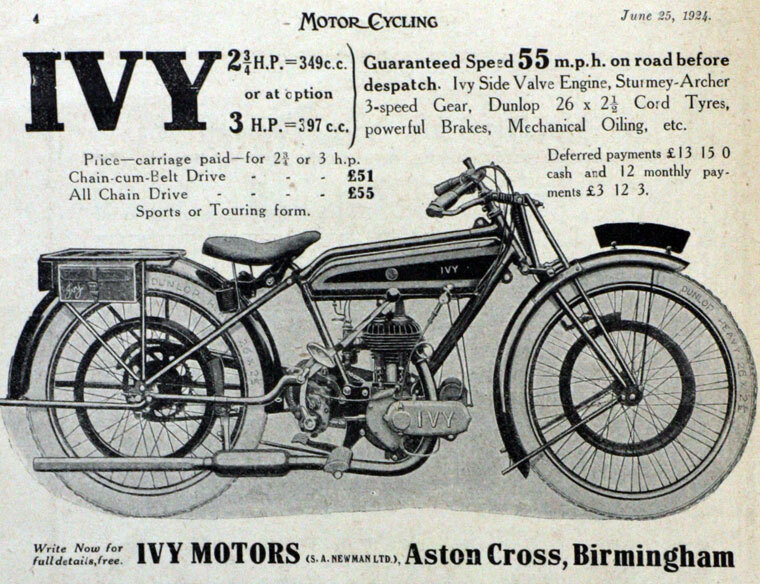 Ivy were motorcycles produced from 1910 to 1931 by S. A. Newman of Aston Cross, Birmingham. 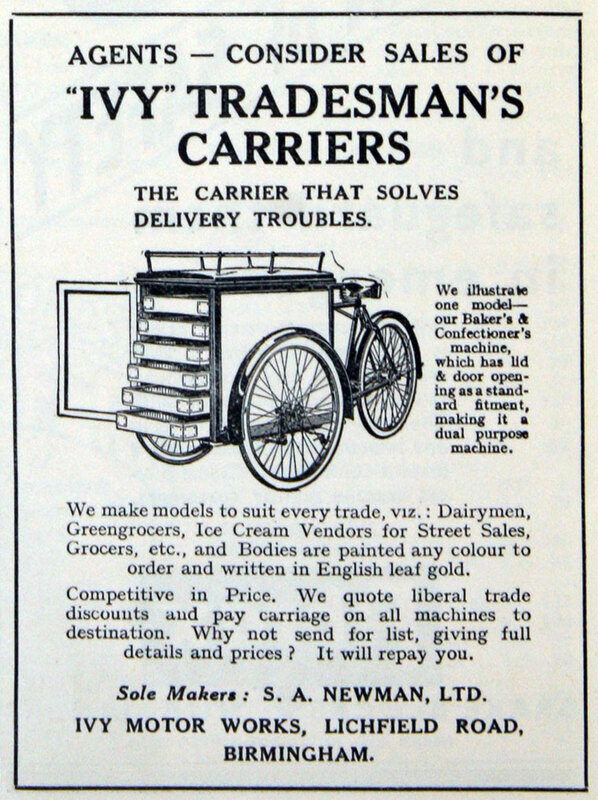 1910 The make was first listed late that year. 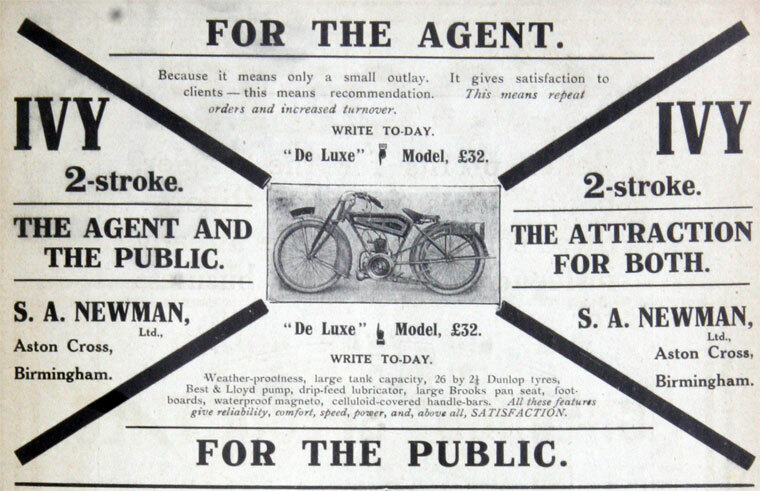 The model had a 3.5 Precision engine, belt drive and sprung forks. Over the next few years it was joined by other singles and V-twins. 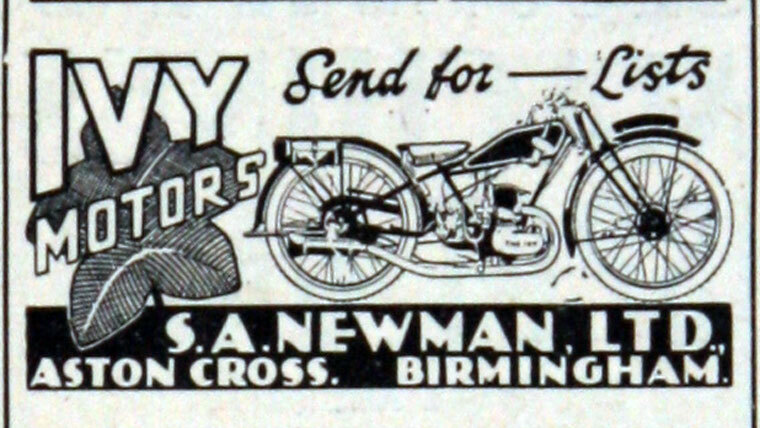 1913 Newman was a regular competitor in the TT, and that year gained third place in the Junior. 1914 A 225cc Peco two-stroke was listed. 1915-1916 The four-strokes now had JAP engines. Post-war, they appeared again with 225cc and 349cc two-stroke models. Gradually they were given more speeds and all-chain drive. 1923 A 198cc two-stroke was added, and also a 348cc four-stroke. 1925 The company concentrated mainly on the four-stroke, although the 225cc two-stroke continued. One model had ohv. 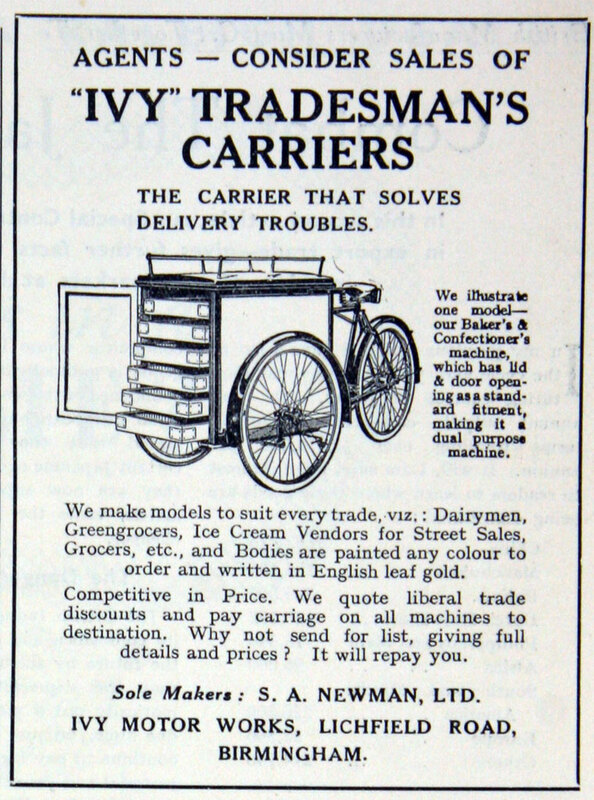 1928 The firm produced a two-model range of the Popular. This was probably because the company had over-extended itself financially. 1931 That range, with a 247cc two-stroke engine and the Model X with a 292cc JAP engine, ran on until that year. This page was last edited on 27 May 2014, at 10:42.